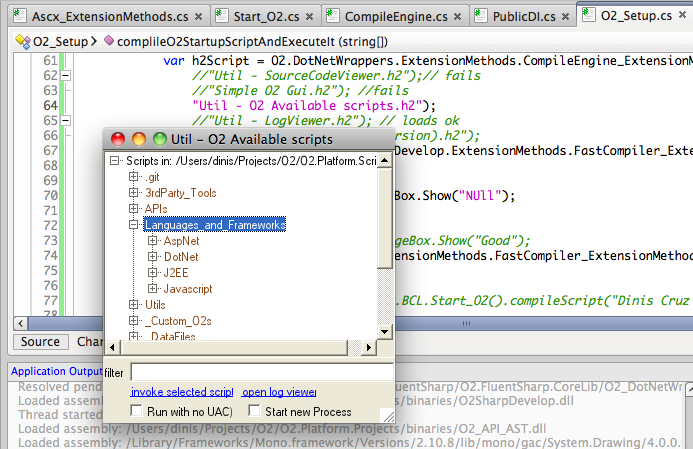 As you can probably see above I'm controlling which script is executed via the O2_Setup.cs file. Ok, so the hard part is now done. O2 is doing dynamically compilation and most of the issues seem to be on the GUI controls (which we should probably use GTK# when in mono). So for example, the static analysis part should work ok.
YEAH BABY! How did I miss this post!